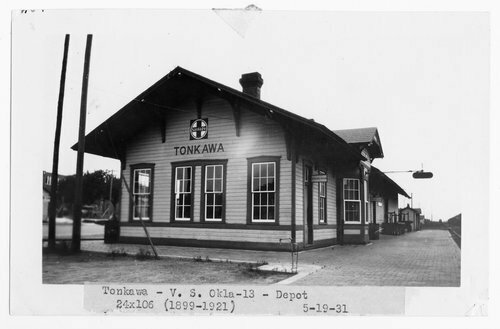 This black and white photograph shows the Atchison, Topeka & Santa Fe Railway Company depot at Tonkawa, Oklahoma. It was built in 1899 and a freight room was added in 1922. With the addition it measured 24'x106'.